The day is fast approaching for Mum’s everywhere to take a well-earned rest and finally let their hair down! London has so many fabulous choices for Mum to be spoiled. From indulgent afternoon teas to relaxing spa days, from west end spectaculars to a lazy day in a peaceful royal park. Are you looking for London Mother’s Day ideas? What about a thrilling London speedboat trip? This Mother’s Day in London we’re giving the mighty matriarch an experience to remember on our Mother’s Day Dash! 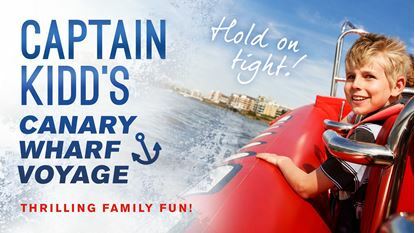 Bring the head of the household on board at the world famous London Eye pier and treat the super special lady in your life to an adrenaline fuelled hour on a Thames speedboat adventure like no other! Not only that but this year we are celebrating Mum’s across the country by welcoming each and every one on board – for FREE! 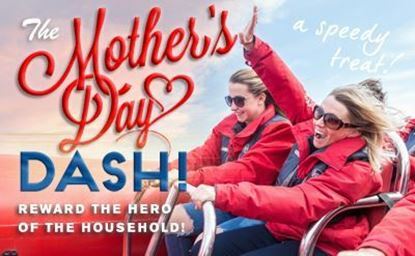 That’s right – for every booking on our Mother’s Day Dash of two tickets or more Mum’s ticket will be automatically deducted at the checkout, meaning you can treat her even more later on in the day! Our on board sound system will be playing Mother’s Day songs for you to sing along to as you wind your way past the iconic landmarks on this London sightseeing trip. Your on-board guide will make a real fuss, giving Mum every opportunity to show off her London knowledge. With photo opportunities around every corner this is a Mother’s Day to remember forever! Go on… treat Mum to the day she deserves!